The Reds were looking for a victory which would make it 12 league games unbeaten and equal their best start to a Premier League season. It would also have taken them second, one point behind leaders Chelsea, the parent club of match-winner Ake. And midway through the second half, it appeared the story of the game was going to be a good performance and deserved win for Liverpool. 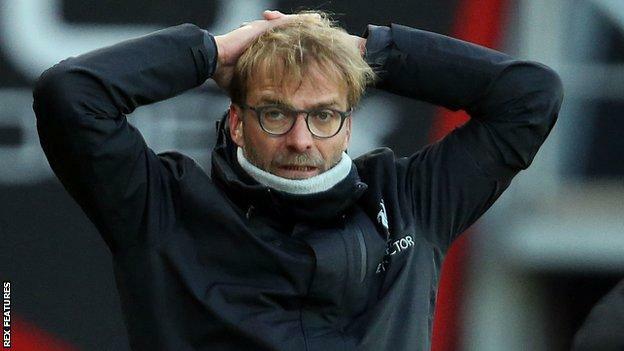 Manager Jurgen Klopp, who is without injured forward Philippe Coutinho for several weeks, admitted his side had thrown it away. One boost was Adam Lallana's return from three weeks out with a groin injury, although he replaced Mane just before the start of the implosion that has left them four points off in-form Chelsea. Liverpool manager Jurgen Klopp: "We opened the door and they ran through and scored some wonderful goals. So that's the deserved result. "It doesn't feel too good right now but sometimes we need it. Of course this can help us. No road is without rocks and stones. "It's three points, no more. You cannot be champions in December. "We are not ice skating, it's not about how it looks. I know we can play football. Nothing is decided at 2-0. The boys know now we gave it away - only because of us Bournemouth came back. It was our mistake to let them back in the game."